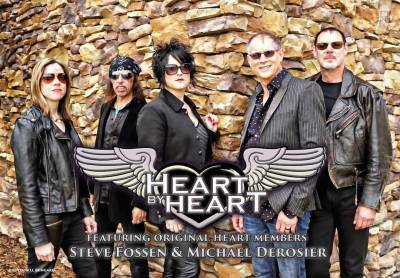 The Band Includes Legendary Bassist Steve Fossen and Iconic Drummer Mike Derosier As Well As Breakout Vocalist Somar Macek Recreating the Music of HEART. HEART fans don’t have to feel so “Alone” anymore! 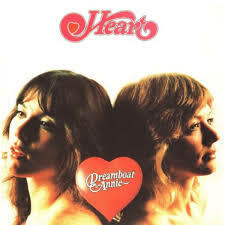 With the recent announcement of an indefinite split between Ann and Nancy Wilson, music lovers will be happy to know that Heart By Heart, which features original founding HEART members Steve Fossen and Mike Derosier, have announced that it will be hitting the road with acclaimed vocalist Somar Macek leading the helm. The Heart By Heart tour will bring back all of the favorites from the multi-platinum selling band including “Barracuda,” “Crazy On You,” “Alone” and more by perfectly recreating the songs of HEART. In order to play the songs the way they were conceived, Fossen and Derosier have surrounded themselves with musicians who share their philosophy for excellence. Lead vocalist Somar Macek delivers a “jaw dropping performance” with her vocal range and stage presence, which is only enhanced by guitarist and vocalist Lizzy Daymont’s powerhouse performances. Rounding out the band is Randy Hansen, a guitarist known in Europe and America as the premier ‘Hendrix’ tribute artist who also collaborated with Francis Ford Coppola on “Apocalypse Now” and ultimately helped him win the Academy Award® for Best Original Score Written for a Motion Picture. Together, Heart By Heart has become a force to reckon with, with successful shows across the country and rave reviews wherever they perform.